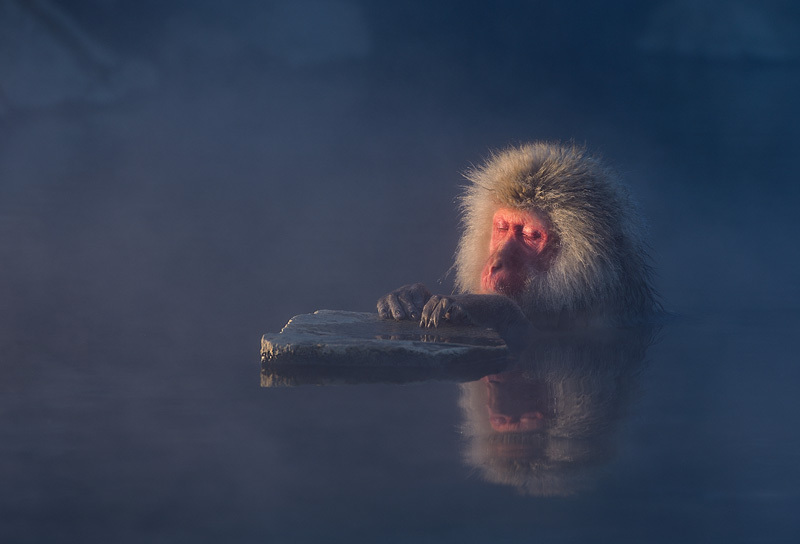 Japanese macaque enjoying a hot bath on a cold winter morning in Jigokudani, Japan. I wanted to create a unique image of this species by using off camera flash. By using a narrow flash beam I was able to selectively light the macaque, while at the same time keep the low contrast look of the hotspring itself.